Jessica Sepel is a woman of many talents! 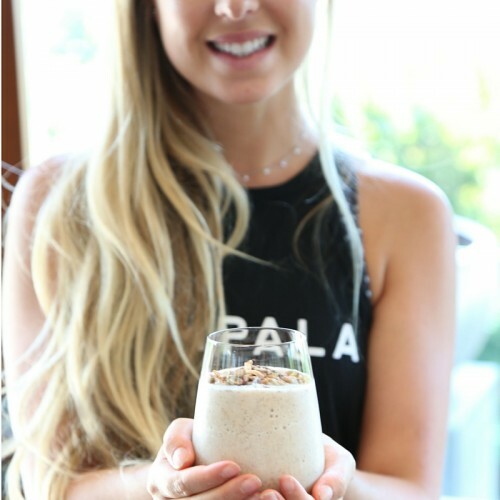 A Wellness Coach, Health Blogger and Nutritionist, Jess has a lot going on in her life, but she has taken the time to speak to us about her latest book ‘The Healthy Life’ , her new life in Los Angeles and the exciting projects she has coming up! Jess, tell us about your journey towards becoming a health and wellness guru. Was there a turning point which made you change your lifestyle? I’ve always been interested in nutrition, having come from a family that prioritizes real, whole foods. In my teenage years and early 20s, though, I developed a negative body image and food was one way to control it. I tortured myself to the point that food was the enemy. It took time, but I realized that hating my body was impacting every aspect of my life. From that point on, I committed to understanding nutrition and how my body works. It shifted my mentality. What are the main lifestyle changes you made? I had to take one step at a time – if you try to overhaul your life all at one time, you’ll get overwhelmed and frustrated! I started by cleaning up my diet, but I also made rest a huge priority. 8 hours of sleep is a must, and I try to switch off from electronics as often as possible. So much unnecessary stress! You talk a lot about body image, how strongly do you think that affects our wellbeing? Your latest book ‘The Healthy Life’ is a complete plan for health and wellness, what was your main aim when putting this book together? I wrote the book to inspire people to feel more comfortable in their own skin. I am living proof that a gentle approach – one where you let go of self-criticism and focus on making small but positive changes – works. You talk a lot about self-care in ‘The Healthy Life, how important do you believe it is to practice self-care everyday? There are so many delicious recipes in ‘The Healthy Life’ … which ones are your favourites? My Gluten-free Banana Bread or my Raw Chocolate Almond Tart – divine! You are a newlywed! Congratulations! Do you believe our happiness directly affects our health? Thank you! It absolutely does – happiness automatically equals less stress, and less stress equals greater health. You have just made the exciting move to L.A! What made you make the move? Are you enjoying the new lifestyle? My husband and I are here temporarily, exploring the lifestyle to see if it’s a good fit. So far we love it! I’ve always enjoyed my visits to L.A. – the people, the food and the ambiance are like no place else. So many new, exciting and healthy options everywhere. With so many exciting things happening in your life, what are your plans for JSHealth in the future? I’m currently writing the final draft for Book 2, which is being released in February 2017 – and also planning a big project that we hope to have finish by the end of the year! Exciting things to come… so watch this space.